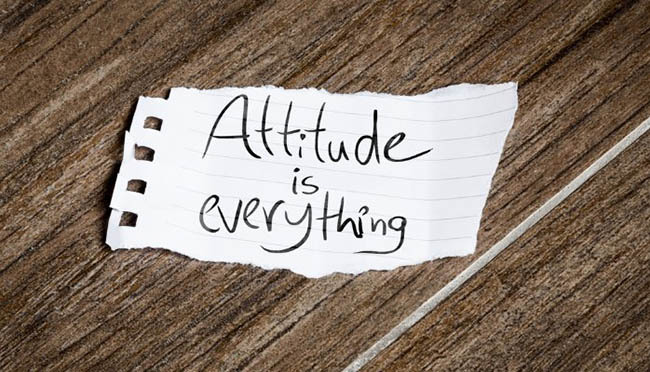 Your attitude determines your altitude – in business and in life. You can’t change someone else’s attitude for them. But this powerful adage is a great reminder that you can put in front of anyone who needs an attitude adjustment. I want to talk about a few of the many ways each of us can develop a winning attitude every day. It’s what leaders do. Marcus Aurelius, the great philosopher who ruled the Roman Empire, said it simply: “Our life is what our thoughts make it”. Dale Carnegie, speaking to that quote said: “Yes, if we think happy thoughts, we will be happy. If we think miserable thoughts, we will be miserable. If we think fear thoughts, we will be fearful. If we think sickly thoughts we probably will be ill. If we think failure, we will certainly fail. If we wallow in self-pity, everyone will want to shun us and avoid us”. Am I advocating a Pollyanna attitude toward all our problems? No. Life isn’t that simple. But I am advocating – in the strongest terms – that we assume a positive attitude instead of a negative one. The power we hold in our heads. Reality can be changed dramatically by a single thought. In nutrition the adage is you are what you eat. In terms of leadership, it’s more likely you are what you think. Contrary to what people want to believe, outside influences don’t usually determine your happiness or success, rather it is how we react to those influences – good or bad. So how do you change your reactions to those outside forces? Make how you react a conscious priority, which means practice daily. Humor is vital. When things aren’t going your way, keep everything in perspective and relax. I laugh. Others throw up their hands. Whole industries get very cynical. Positive self-confident feelings not only help you achieve more; they also make others want to be associated with you. People are drawn to others who have an upbeat outlook, who have a can-do attitude. Constant complainers don’t collect an easy following. One of a leader’s most important jobs is to set a positive and self-confident tone, exuding the attitude that failure is not an option. A positive attitude is the cornerstone of leadership. It’s the same confidence that a quarterback, a golfer, or a tennis star projects every time they come out of the locker room. Focus on the 90% of your team who will run with your vision and your plan - don't let the "negative nellies" drain you or poison your team. Tap your spiritual essence at work too - use your spirit and your heart to move you and your work forward. If you see yourself spiraling down or in a rut, mix it up, breakup the routine and do something fast that lifts you up. When you see one of your team members in a rut of unproductive or unprofessional behavior address it, don’t let it fester. Takes time. Work at it, to hear what your team wants. Often just by being heard, problems can go away and people really make a big turnaround. You must be the emotional manager of your office - not your assistant, not the new hotshot you just hired. In a family, parents must be the emotional managers or chaos rules the home. In your business, you must wear that mantel, albeit reluctantly at times. 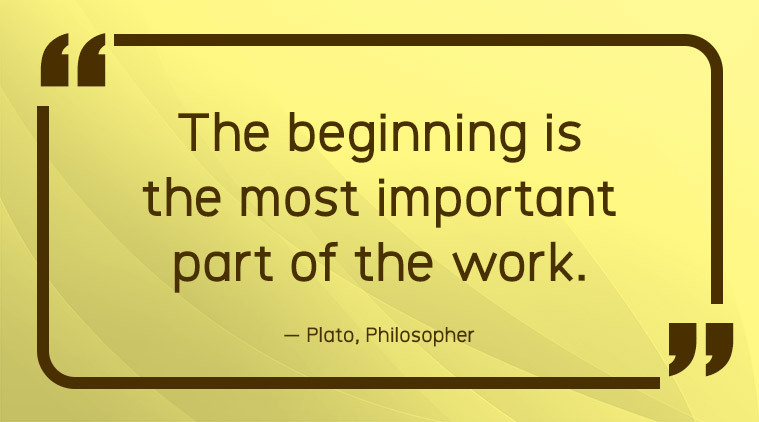 It’s part of your leadership role and power. Hone it, as well as your reactions to external events, and you’ll see the culture around you shift to the positive. Jim Collins points out in Good to Great: When in doubt, don’t hire – keep looking. You can’t grow revenues consistently faster than your ability to get enough of the right people to implement that growth and still become a great company. So unless candidates for the open position have that can-do attitude and are a strong fit for your company in who they are – don’t hire them. The skills can be taught; the and-then-some positive attitude cannot. A negative attitude will pull you down and with it your professional results. A positive attitude will pull you over the rough spots and energize you to lift your results to new heights – to match your vision. Whether you need an attitude adjustment a couple of times a day, once a week or only occasionally, never forget that your attitude determines your altitude. Don’t let outside people or events bring yours down.